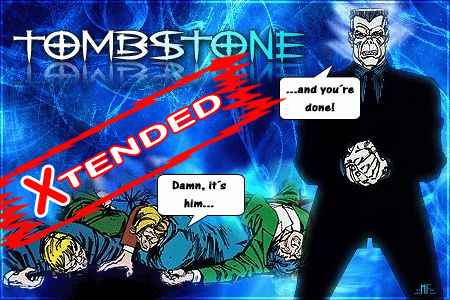 Tombstone Xtended is based upon Tombstone v2.1 (based upon eMule v0.50a including all important updates/fixes that version offers). This version includes the ClientAnalyzer 1.5, VQB fullchunk system and modstring support but also offers some releaser features (PowerShare, SlotFocus and a SessionRatio) as well as the first mod ever a built-in ScamWarning link. That's the perfect version to check out or to base your mod upon if you want to use the CA and/or want to release. I want to thank all testers and as always eMuleFuture.eu for its support. Have fun and stay clean! So this is a mod based on a mod made as a base in order to replace the base mod with a new mod base? This is a lightweight mod of TS (which only includes basic CA functionality and therefore is a great base) which can be used a base for more advanced (releaser) mods. as ever ......thx wiz ! Hmm, I think it is against TS' philosophy to have a separate "full" releaser mod edition. BTW, for those who are too lazy to check the sources: What does your scam warning do? In Beta builds it opened a more detailed page. It's of course not finished, yet, but it's a start... we'll add more languages and a better design (*cough*). add:overshare and Share only need.. in new version!! Many thanks Wizard for your latest release. Scam warning is an interesting feature for newbies. To release the single source is good..
You should update eMF download links in the first post WiZ. I don't want to put oil into the flames again but let it suffice to let me say that HOS is one of the worst features out there (for the network) and it should be forbidden in legal mods. SOTN isn't that bad but basically... well, the best thing would be to improve the chunk selection algorithm (ICS could help). as long as the majority uses official and they don't do nothing about the chunk selection SOTN is basically the best we can do. but you are right, it still is rather a hack than a real solution to the apparent problem. and yeah, HOS is not too smart although i don't know if it should really be forbidden. would not mind if it was, though. could then introduce STON ..
the taz me has perfected the ICS,and other good developers. I prefer to launch a new chunk of the network to let the sources choose! they sometimes choose chunks already sent for this network and bad for whom this release is why I like the overshare and STON.. I do not have great upload, and I like to get the most for launching more intelligent network! Why send chunks already included in the network when I can always send chunks I never sent? I shall be grateful if you answer to my request ..
For people with good fiber and 200kb upload and STON overshare not make much difference! Continue with your good work .. I completely agree with Stulle and sonoro about this. Vanilla client needs some improvement about chunk selection algorithm otherwise we seriously need Sotn. I haven't checked feature request sub-forum about that yet, gonna open a topic about it if there is no request.